Vegan and cruelty-free highlighter. Whether you’re buying for yourself, or for the cruelty-free woman in your life, you can shop with the assurance that all of the highlighter listed below is 100% free of animal by-products, ingredients and testing. What is ‘vegan’ & ‘cruelty-free’ highlighter? The term “vegan”, with regard to highlighter, refers products that don’t contain ingredients that are derived or sourced from animals or insects, whereas the term “cruelty-free” refers to highlighter that’s free of animal testing, including the individual ingredients used in it. 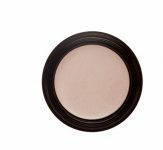 What animal and insect-derived ingredients are commonly used in highlighter? We’ve put together a list (not exhaustive) of the most common animal and insect-derived ingredients that are used in non-vegan highlighter, shimmer, glow, illuminizer/illuminator, and other related products. We’ve also included some of their aliases, reasons why they're used in highlighter, and some of the vegan-friendly alternatives to these ingredients. Carmine: A red pigment that’s used in highlighters and many other cosmetics (most notably lipstick) for certain hues of red, it’s obtained by crushing the female cochineal insect. Reportedly, around 70,000 female beetles must be killed to produce one pound of this red dye. Guanine: Used in highlighter, illuminizer, and other cosmetics to achieve a shimmery, luminous effect. It’s taken from fish scales and acids that are located in animal tissue. Squalene: Typically derived from shark livers, it’s used in highlighter, illuminizer/illuminator and other cosmetics as a moisturizer, and for it’s reported anti-aging effects. Lanolin: A product of the oil glands of sheep, extracted from their wool. Used as an emollient in many drugstore brand and other highlighters. The cruelty towards sheep in the wool (and as a byproduct, lanolin) industry is often overlooked, but well documented. Sheep regarded as inferior are killed; sheep are transported without food or water, in extreme heat and cold, legs are broken, eyes injured, castration without anaesthetics…and it goes on. Lecithin: A waxy substance in nervous tissue of all living organisms. It can be obtained from nerve tissue, blood, milk and corn, but frequently it’s obtained for cosmetic purposes from eggs and soybeans. 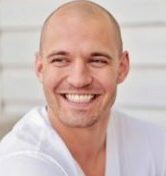 Lecithin can be found in both liquid and powder highlighter, and is used as a skin conditioner and an emulsifying agent. Milk: Taken from the milk of forcefully impregnated cows who often endure abhorrent physical abuse, in addition to living in cramped, squalid conditions. Milk is used as a skin conditioning agent in highlighters and other cosmetics. Watch Out! If a highlighter's label says an ingredient is from “Natural Sources”, it can mean either animal or plant-based sources. Most often in cosmetics it means animal sources. What brands make vegan & cruelty-free highlighter? 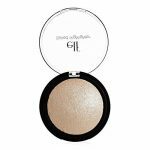 Highlighter that’s both vegan and cruelty-free is everywhere…you just need to know where to look! For that reason, we've made this list (directly below) to show you which brands make highlighter and illuminizer/illuminator, glow and/or shimmer that’s completely vegan and cruelty-free…in other words, completely animal-friendly! Please Note: For the sake of simplicity, this list does not include brands that have ‘vegan options’ for highlighter; it only includes companies whose highlighters, illuminators, glows and shimmers are completely vegan and cruelty-free. Also, this list is growing! As we research more companies, we’ll add more to this list! Is vegan & cruelty-free highlighter expensive? 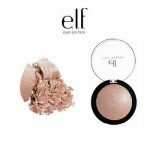 In general, vegan and cruelty-free liquid or powder highlighter, shimmer, glow or illuminizer is not any more expensive, or any less-expensive, than similar products that contains animal/insect derived or tested ingredients. 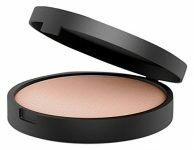 Just like alternative versions, the prices of ‘animal-friendly’ highlighter can vary based on differences in the quality and the availability of the ingredients used, differences in the manufacturing processes employed, different brand names behind them, as well as a wide variety of other factors. Why should I buy highlighter that’s ‘vegan’ & ‘cruelty-free’? There’s something to be said about smearing crushed beetles, fish scales and sheep sweat on your face. Aside from that, the farming and sourcing of these ingredients is inherently cruel. It’s important to buy highlighter that you know is vegan & cruelty-free because it creates demand for these animal-friendly of products, and reduces demand for inhumane and inherently cruel products. It is thus a very effective form of animal-welfare activism, and is often referred to as ‘voting with your dollars’. Basically, if we as consumers stop paying companies to put these grotesque and cruelty-ridden ingredients in highlighters, they will stop doing it. If you make vegan and cruelty-free gel cream or powder highlighter, we’d love to feature you and your products on the “Brands We Love” section of our site! Contact us at - info(at)getitvegan(dot)com - to get started!